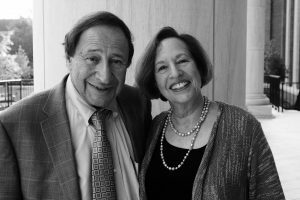 The Don and Barbara “Bobbie” Siegal Scholarship was created in honor of Dr. John L. Blackburn and Dr. Robert E. Witt and in memory of Dr. James Hood and Vivian Malone-Jones. It is awarded annually to a Blackburn student who has demonstrated an interest in and a concern for the promotion of cultural understanding while maintaining an active participation in the Blackburn Institute and showing a devotion to the Institute’s purpose. Applications are reviewed and recipients are selected by a committee of Advisory Board members and Blackburn Institute staff. Completed application packets for the 2018 scholarship must be received in the Blackburn office no later than 11:59pm on Thursday, July 26, 2018 to be considered by the selection committee. The scholarship recipient will be named at the 2018 Annual Symposium (August 24-25, 2018) and the $2,750 scholarship will be credited to the student’s account in October 2018.